If you’ve ever gone into a luxury store, especially jewellery stores, you would notice something different from your usual run-of-the-mill shops or pasar malams. When you ask to look at something, they will slowly unlock the case, reached into it with their gloved hands, and present it to you personally. With the larger price tag comes a level of sophistication, and those gloved hands elevate those products into something more important or majestic. That, at least, is what I think about when I hear the name of this app — LuxGlove. And it makes sense. 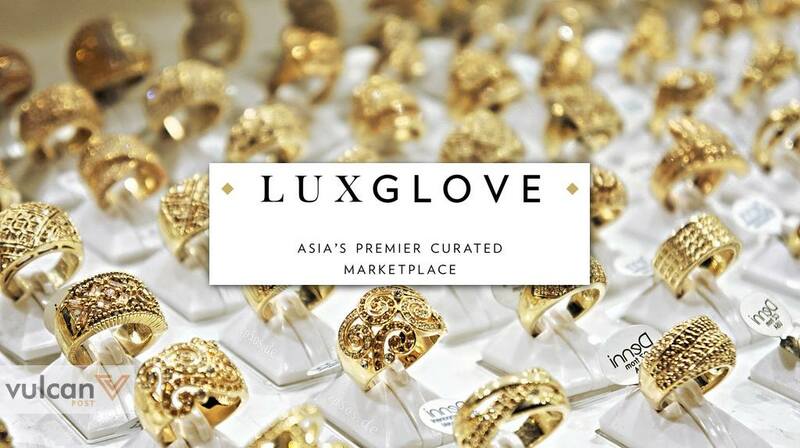 LuxGlove is a marketplace for curated items, or in other words, Carousell for high-value items. 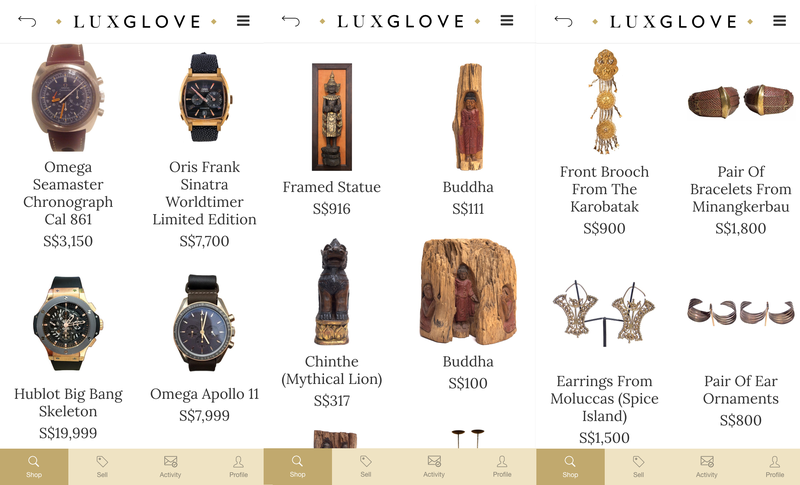 The minimum price for anything sold on LuxGlove is S$100, and even then the average price of items here are much higher than that, with items ranging from furniture to watches hitting prices of 5 figures. It’s almost like a marketplace app that pulls on those gloves and presents the item to you for inspection. Why I liken it to Carousell is because there is an element of preloved goods being sold on the platform as well, but LuxGlove comes with an all-important checklist which varies based on the item. For watches, for example, it checks for the brand, model, movement, diameter without crown, whether it has the original box and papers, and the condition of the watch. For jewellery, collectibles, or art, they may ask for the period that the piece is from instead, as well as the size and designer. LuxGlove’s app is clean and easy to navigate, even including a favourites option so you can collect the items you have your eye in your personal profile. This platform is essentially the online option for physical secondhand stores for luxury goods, most of which are often tucked away and marketed solely by word of mouth. It may be a great place to look for a luxury steal that is far more unique compared to your usual branded bags. But one big question remains: will high-valued items sell on marketplace apps? There are some issues that may impede the success of this platform — like how people are willing to settle payment before seeing 5 figure items. It is reassuring that the platform is curated, so you’re not likely to see any false items listed. LuxGlove does provide a White Glove Service, where the team behind the app will personally deal with all logistics, professional photography, uploading to the platform, and pickup and delivery of the Item once sold, taking the hassle completely out the sellers hands. After all, if you want to get rid of something, you just want it to be gone. However, the valuation of an item may be a very subjective thing compared to a buyer — a scratch on a watch may devalue it from as little as $50 to as much as a few hundred. So far, all the photographs of items sold seems to be professionally taken, so you can physically see each angle of the item, but the online detachment still provides a single shred of doubt that will not go away. Everything about the app is professional and tailored, but the shred of doubt from buying high-valued items online remains. This could be solved easily with an option to send an enquiry instead of immediately purchasing the item would be great for online shopping skeptics, but all in all it’s a wonder that it took this long for a preloved luxury marketplace app that looks this good to emerge. LuxGlove is available on iOS. Meet The Creator Of Night Owl Cinematics, Tree Potatoes & JinnyBoyTV’s Newly Launched Mobile Apps!